If you do as much gardening as I do, having the right tools is important and that includes the right-size trowel. 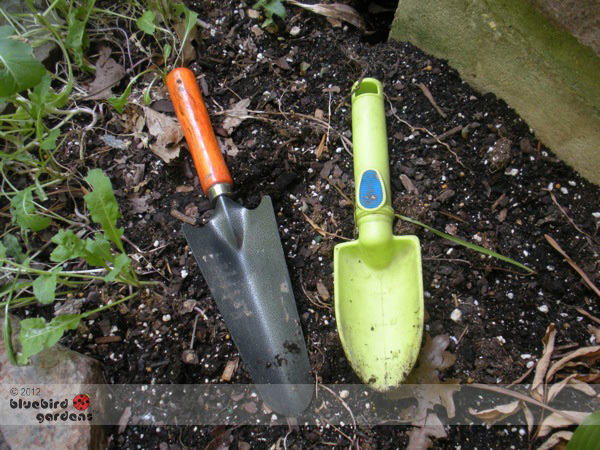 Trowels are a gardener's basic tool; basically a small shovel with a good handle for leverage. Although I'm not a big gadget person, I find child-size garden implements such as trowels fit my hands better than regular, adult-size tools. I have both; I use the larger trowel for soil preparation, and the smaller one for actual planting and soil amending. Getting a recycled plastic trowel is also rust-less for all those times when I leave the trowel somewhere in the garden!